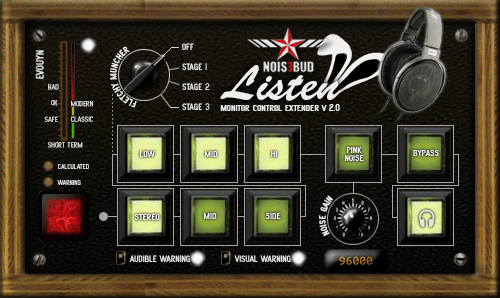 Noisebud Listen is our own monitor control extender. It has things we like to have within reach while mixing and mastering. 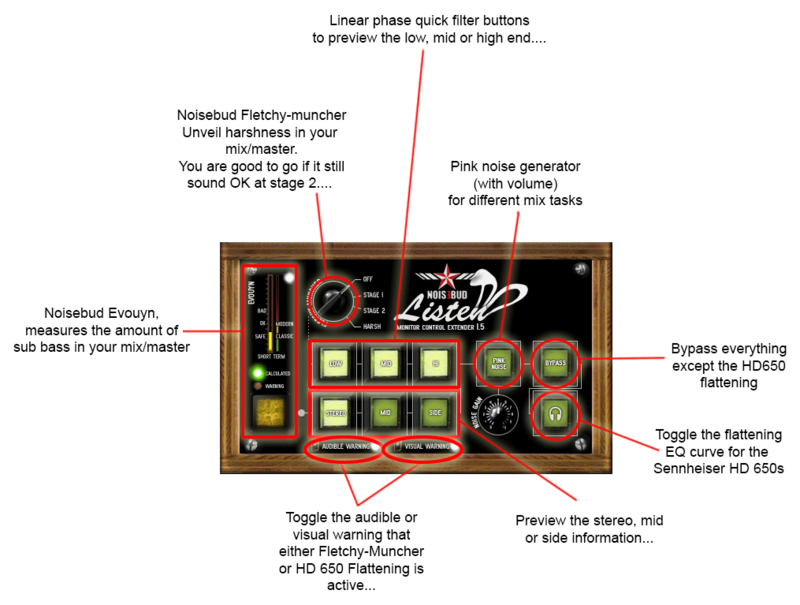 Filter quick buttons – Preview the low, mid or the high end with a push of a button. 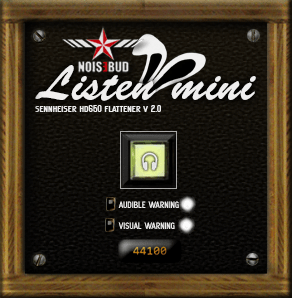 When Fletchy-Muncher or the HD 650 response flattening is active the GUI will ‘strob’ randomly and a voice will say ‘Warning’ once a minute. You can disable these warnings with the ‘Audible Warning’ and ‘Visual Warning’ swtiches. They’re there to remind you that Listen is alternating the spectrum. We don’t want you to render it like that, do we? Christian-W Budde, David Haupt, Daz Disley, KDL, Rob Herder, Scoofster and Dover for their excellent synthedit modules!